Duck Dynasty star Korie Robertson took to Instagram yesterday to share the exciting news that she and husband Willie Robertson’s already large family will soon be growing! We’ve had lots of questions about the cute kid popping up in our photos lately ? We are excited to be in the process of adopting a new son! He’s been with us since May, but we wanted some privacy and time for him and our family to bond before telling the world (It’s a bit of an adjustment coming into this big, crazy family, ha?) He’s amazing, and we are all so thrilled to have another kid around the house. Couldn’t keep the good news to ourselves any longer! We appreciate your prayers and support for our family! Love, The Robertson’s. 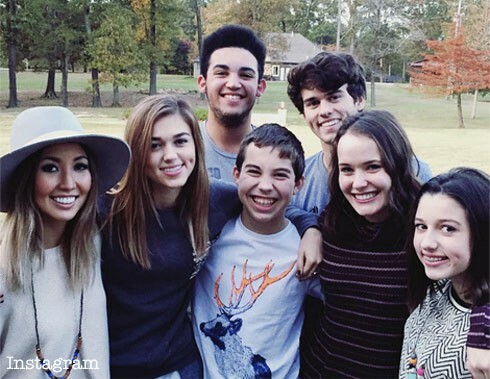 Willie and Korie are parents to Rebecca, 27, John Luke, 20, Sadie, 18, and Willie Jr. and Bella, both 13. Willie Jr. was adopted when he was a baby and Rebecca became their foster child in 2004 after she was hosted as an exchange student. Speaking of Rebecca and the Robertson family gettin’ bigger: Rebecca announced on Saturday that she is engaged to John Reed Loflin.